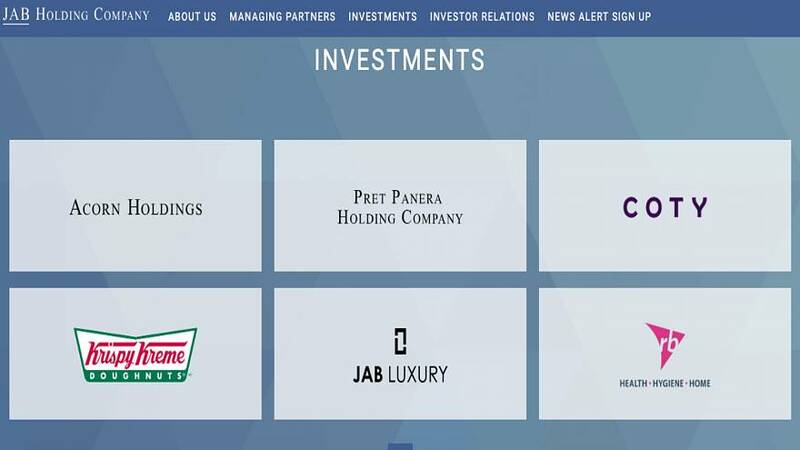 One of Germany's wealthiest families, whose investment company owns stakes in some of the world's best-known brands including Krispy Kreme Doughnuts and Pret a Manger, is to give €10 million to charity. It came after the unearthing of evidence showing the Reimann family's ancestors support of Adolf Hitler and the Nazi regime, according to a report by German tabloid Bild, published on Sunday. Peter Harf, spokesman and managing partner at Reimann's JAB Holding Company, confirmed to the newspaper that Albert Reinmann Sr and his son Albert Reimann Jr used Russian civilians and French prisoners of war (POW) as forced labourers. "It is all correct," Harf told Bild. "Reimann senior and Reimann junior were guilty... they belonged in jail." The Father and son died in 1954 and 1984 respectively. The family's links to the Nazi regime were revealed in a 1978 report but the younger generation decided to commission historians from the University of Munich in 2014 after reading documents from the Nazi era kept by the family. The experts presented their findings to the family several weeks ago. "We were all ashamed and turned as white as the wall. There is nothing to gloss over. These crimes are disgusting," Harf told Bild. In its four-page report, Bild said the Reimanns had donated to the paramilitary SS even before the Nazis came to power and that documents uncovered in Germany, France and the US revealed that the company used forced labourers in its chemicals company during World War II. According to the German newspaper, at least 175 forced labourers accounting for around 30% of the workforce were being used in 1943. In a letter dated from 1940, Reinmann Jr complained to the mayor of Ludwigshafen that the French POWs were not working hard enough. The father and son duo was investigated by the Allied forces after the war and initially banned from continuing their activities until the Americans overturned the ruling. Harf told Bild that the family — worth an estimated €33 billion — will release the historians' report once it is complete and donate €10 million to a yet-to-be-determined charity. "The whole truth must be put to the table," he explained.